It is now one year until the inaugural IGSA (@IGSAOnline) conference to be held at the University of East Anglia! We are delighted to announce our call for papers. Keynote information to follow shortly. 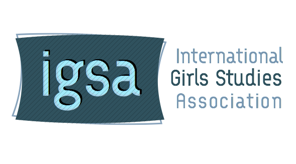 The International Girls’ Studies Association are seeking submissions for our inaugural conference from April 7 – 9th 2016 at the University of East Anglia. The inaugural conference seeks to bring together researchers and students working on girls and girlhood in any part of the world and in any discipline or interdisciplinary field. Girls’ Studies has become one of the most dynamic academic fields, encompassing a vast array of disciplines and interdisciplinary approaches. This conference aims to bring together scholars from across the world to explore experiences of girlhood, recent developments within the field, investigating new questions and revisiting historical issues.